While their physical counterparts are still much more popular, digital board games are slowly taking our mobile devices. Board game market just exploded in the last five or so years with the rise of crowdsourcing platforms like Kickstarter, showing that we want to hang out and play board games more than ever before. There are dozens of new games you can search for a get online, assuring that you will always have a new choice once your current tabletop choice becomes stale. Digital board games, on the other hand, are also getting more and more popular. They don't offer as good as an experience as their physical counterparts but if you own an iPad or some 10-inch Android tablet they can give you and your friends quality entertainment for a couple of nights. And once you realize that a digital tabletop is awesome to play, you will surely get its physical version! Now, the problem with board games, both on iOS and Android, is the general problem tied to mobile gaming. There are just too many subpar titles that can do nothing except disappointing you and your friends. 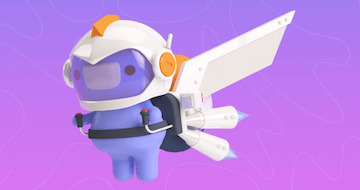 Luckily, we searched for the best board games you can play on the two biggest mobile platforms and if you're kind enough to check out the list below you will find enough board games to entertain you for at least a year. The majority of titles are digital complements of famous physical board games, but you'll certainly find a few titles you've never heard of. Let's start with one of the best-known board games out there. Settlers of Catan came out during the mid-nineties and quickly become one of the best board games ever. 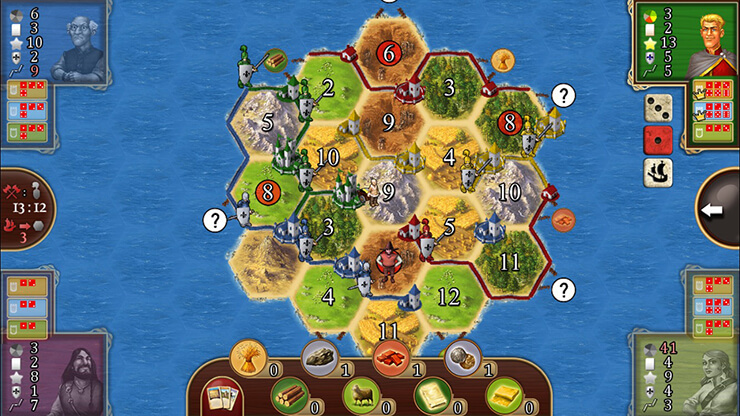 Relatively simple rules that are easy to learn (newbies usually need one game to get know all the rules), addictive gameplay, not many elements that are a part of the game, and games that can be finished in less than an hour were the main reasons why Settlers of Katan become a worldwide phenomenon. Its digital cousin, simply named Catan, is an excellent board game that is perfect for large screens found on tablets. The premise is the same - build roads, villages, and collect resources in order to amass enough points needed for victory. But the digital version is simplified making it perfect for new players. If you and your friends never played Settlers of Catan and don't know anyone who played the game we advise you to get this one on iOS or Android because the digital version is much easier to learn than the physical one. One of the best board games stayed on the top tier in mobile space. Elder Sign: Omens is a quality mix of horror and detective board game that can be played alone or with friends. 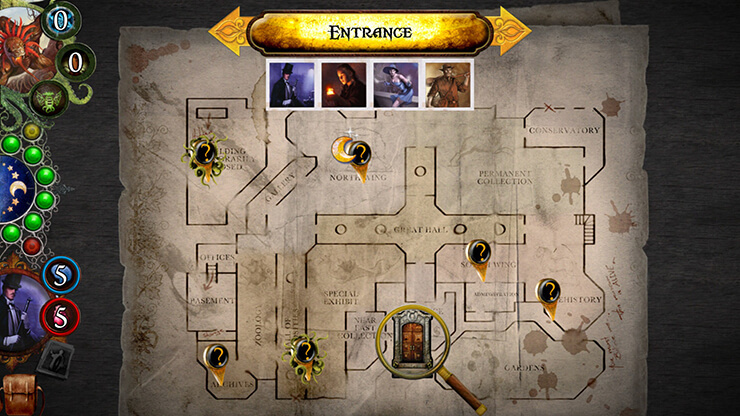 The main premise is that players, playing roles of various detectives, each with their own unique stats and abilities, must stop an ancient evil that started waking in the depths of a museum. There are many different monsters to pick from, and each makes the game a bit diverse and unique. The game is tense, at times extremely tough and unforgiving, and most of all a great fun. Its digital version boasts detailed graphics making it one of the prettiest digital board games around. It uses rules that are bit different and simplified but it doesn't noticeably dumb down the game. 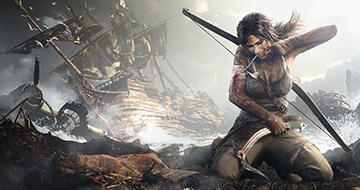 It is still complex, tense and of punishing difficulty. The great thing about Elder Sign: Omens, as we already mentioned, is the fact you can play the game alone. This is excellent for learning the rules of the game and for those that don't like playing with others. But the real fun begins once you and your group gather around a tablet and start playing together. There are a few downsides to the digital version of Elder Sign: Omens, with the most important one being the fact that the game offers paid DLC packs (on top of its $3.99 base price) with new monsters and scenarios, even though the same content can be found in the core set of the physical game. But, on the other hand, physical version is way more expensive than the mobile one, so if you want to get new content you could spend a couple of extra $ and increase the longevity of the digital version. San Juan is a simplified version of famous Puerto Rico, an economy board game that can make you rich, but only while playing it. San Juan is made in order to shorten an average time for one game (less than an hour instead hour and a half when playing Puerto Rico) and to make the game playable by a lesser number of people (2 to 4 instead 3 to 5 players in Puerto Rico). The game is card based and much easier to play and learn than Puerto Rico. The digital version of San Juan features the same rule set that's even easier to learn than when playing physical version, and games are even quicker to finish since digital version won't make your friends to think about their next move for half an hours. 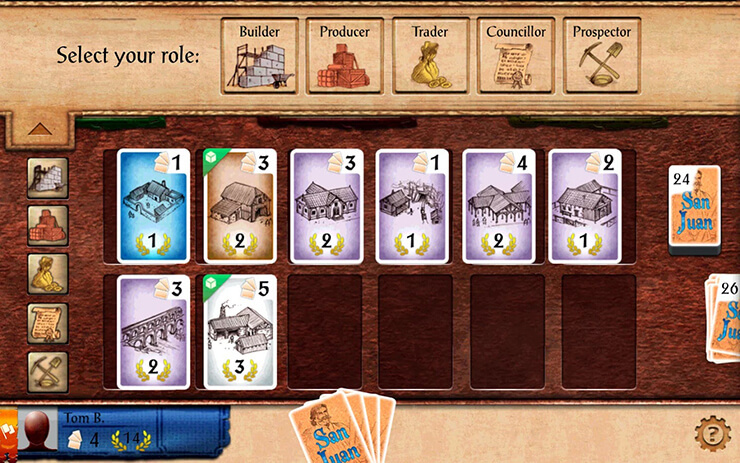 Produce resources, build new constructions, and become the most successful magnate San Juan ever saw. The game comes with a handy tutorial that will introduce you to the rules in no time and once you start playing you will either love the game or will love the game so much that you will look for the physical version. The game can be played alone, against AI opponents that aren't too dumb. 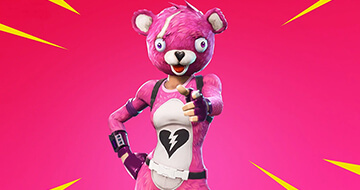 They also aren't bloody geniuses capable of defeating you every time, making single player mode more than decent choice when you don't have friends to play with. 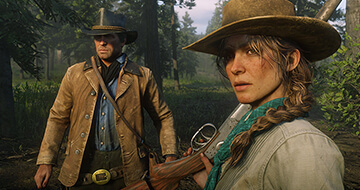 There's also online multiplayer that is an excellent experience, with the only problem being a small user base, making waiting times longer than what's usually acceptable. 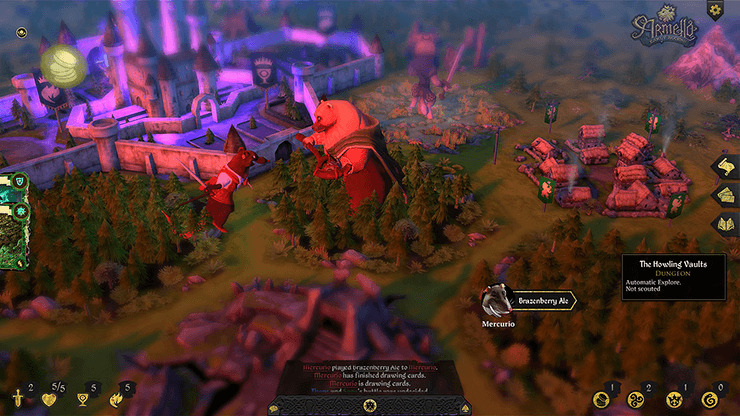 Armello is a digital board game that doesn't have its physical counterpart. The game works as a normal RPG board game, but it features excellent graphics along with 3D playing board. It is made for up to four players and is an excellent board game experience. You play as one of many animals, each of them representing their clan (and there are lots of different clans), with the ultimate goal of conquering the kingdom's castle, becoming the new ruler of the kingdom of Armello. Each animal clan has its own unique bonuses, and they can be important during the course of the game. 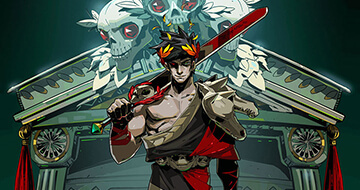 At the moment there are 20 heroes to choose from, each having their own unique clan. The board is divided into hexagonal tiles, and each tile comes with some randomly generated feature such as forests filled with enemies, settlements that can be conquered, quests to complete, or dark dungeons that can be explored and that can hide valuable treasures or powerful items. The gameplay is turn-based with rules that are very easy to learn. Each player has their own set of actions to complete during their turn. The game utilizes dice and cards, which are drawn and come with many different effects. They can be used as spells and potions, used for recruiting followers, placed as traps on different tiles, and more. There's a dynamic day and night system that carries different enemies and effects depending on the time of day, and the game also offers a massive amount of replayability because a new board will be randomly generated each time you start a new game. Armello can be played alone against AI opponents, or with friends. Here's one board game that can be described as something totally different from the pack. 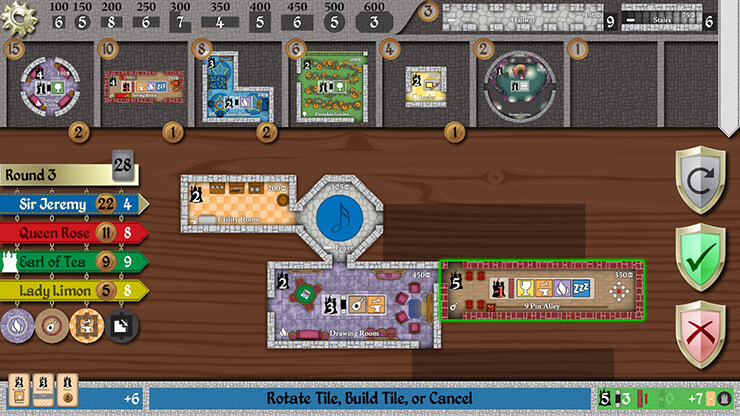 Instead of trying to dominate the world, becoming rich or building an empire, in Castles of Mad King Ludwig you have to build a castle, one room at a time. But, your employer is the mad king from the title, filling the game with unusual choices, deep strategy, and a bit of irrational architectural planning. 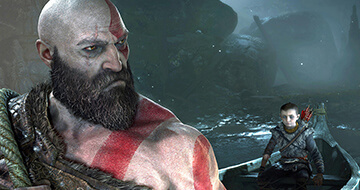 The game looks great, plays like its physical cousin, and is suitable for all ages. Each player has to build their own castle, and each castle is completely unique. There are various thematic rooms you can build, and each turn one player (who plays the role of the Master Builder) sets the price of different rooms, and you must build the most points by spending the least amount of money. Each turn a different player plays the role of the Master Builder, so everyone can set the price of rooms. The twist is that players can buy rooms one from another and that Mad King changes his preferences each game so you never know which rooms will bring most points in advance. Digital version is an excellent port of the physical game and it offers solo play against AI opponents or hot-seat multiplayer. To spice things up, digital version also comes with an excellent single-player campaign mode, which gives the game even more points for replay value. One of those games that are considered as a great gateway to the genre, Carcassonne is a board game that shouldn't be missed. 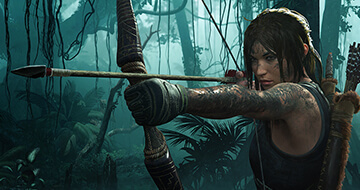 The updated digital version comes with amazing looks, all rendered in 3D, offering extremely detailed graphics that will make you immerse in the game in just a couple of minutes. The rules of the game are simple � players are to place tiles on the board and there are rules telling which tiles can be connected. You have to place new tiles adjacent to the ones already being played, building a scenic French landscape. Players then place their followers to specific tiles, and once an area is completed each player gets points. It sounds complicated but it really is a simple game with a deep strategic element. You have to think where to place new tiles, to decide which tiles are the best for placing followers on them and more. 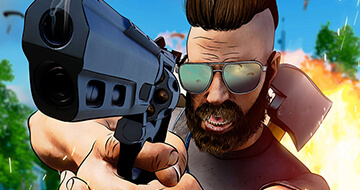 The game can be played in Solo mode, in hot seat multiplayer, or in online multiplayer. 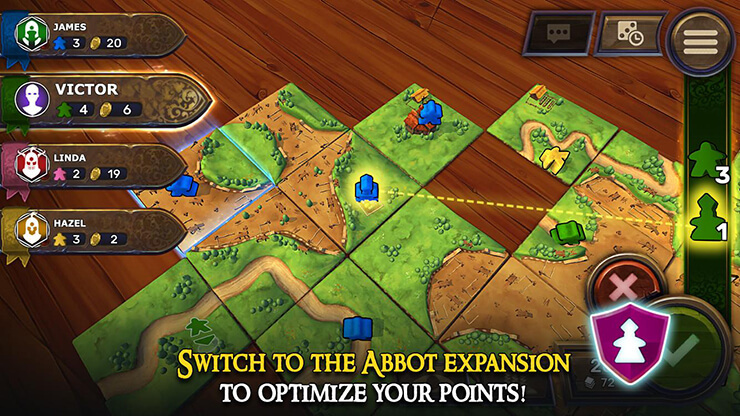 Carcassonne is one of the rare board games that builds upon its physical version and that brings even more gameplay elements in the digital version. Games are relatively short and each one will unfold in a completely different way, making the game perfect for game nights since you can play many games during the course of one evening. Card Thief is another digital board game that doesn't have a physical version. The game is relatively simple and relies solely on cards. Its playfield is a three-by-three grid and while it may seem like something that can become boring pretty quickly, the game is one extreme time waster. You play the role of a master thief who specializes in robbing extravagant mansions. Since their owners usually are filthy rich, these mansions usually incorporate many different security measures. And this is where the game shines. You have to be stealthy but at the same time to be efficient in advancing through the manor. 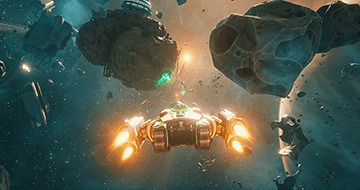 The player must move across the grid, eliminating enemies and picking up items. 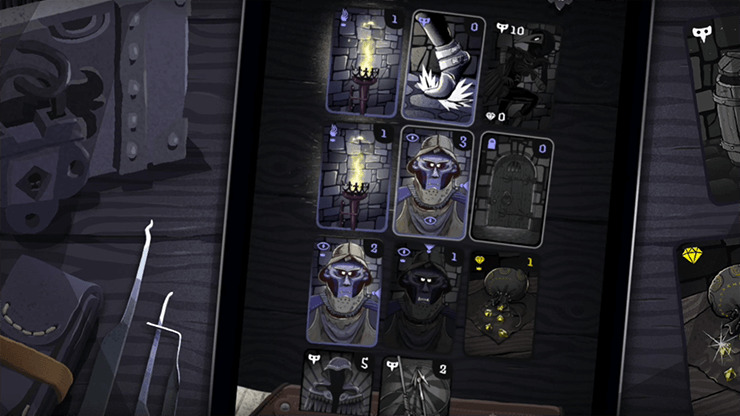 The game unfolds when the player draws cards, and each card features different effects. The main prize in each manor is a chest filled with treasure, and once you finally draw it, you must get out of the mansion undetected. You can get new pieces of equipment with coins you looted, with each theft being a unique and exciting experience. This one is a must-have for every board game lover who happens to play these games on a tablet or smartphone. You probably heard about this one because its physical version became the most funded game in the history of Kickstarter, which says a lot. Fortunately, the final product lived up the hype, offering one insanely fun board game experience. 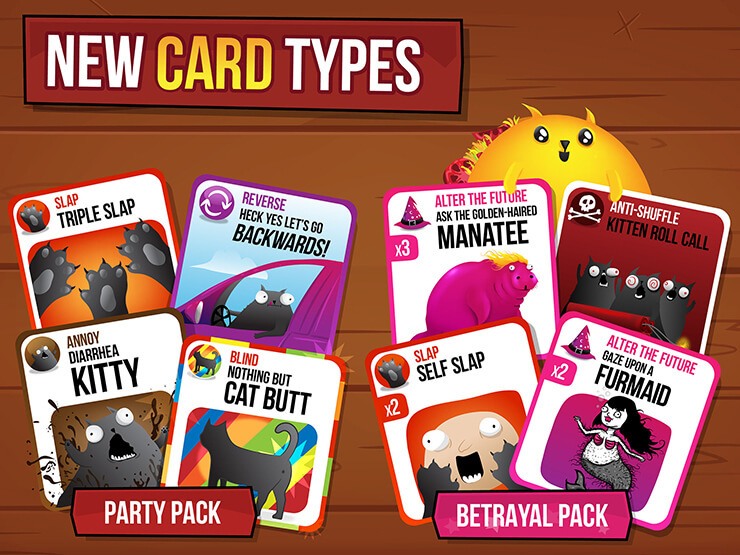 The game revolves around exploding kittens (duh! ), cards, and many more bizarre elements such as lasers and goats. The game is simple and very easy to learn. There's one main deck out of which all cards are drawn. Cards have different effects and before you draw your card (one at a time) you can decide to play a card from your hand that can have many different actions. The goal of the game is to end the round with the fewest number of exploding kittens. You do this by planting them inside the main deck if happen to draw them but, of course, not all exploding kittens can be thrown away. 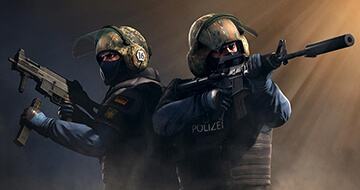 Rounds are fast-paced, intense, and won't last for too long. The digital version of the game is perfect, even better than the physical one. 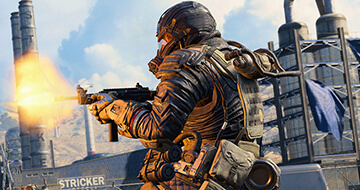 It features connected multiplayer (by playing on multiple phones while being in the same room) and online multiplayer and both modes are a blast to play. Splendor is a game in which you must buy gems and lots of it. The game is one of the best digital ports of any board game and features all options found in the physical version along with amazing looks and lots of content. You can pick your gem trader, and each of them has unique abilities and stats, and then set off to the trading war against other players. The rules are relatively simple and easy to learn, but the game offers many strategic layers and advanced tactics that can win you games. You can buy gem mines, build roads, hire experts capable of transforming rough gems found in mines into beautiful pieces of jewelry that will attract nobles, earning you prestige points. The one with most prestige at the end wins the game. 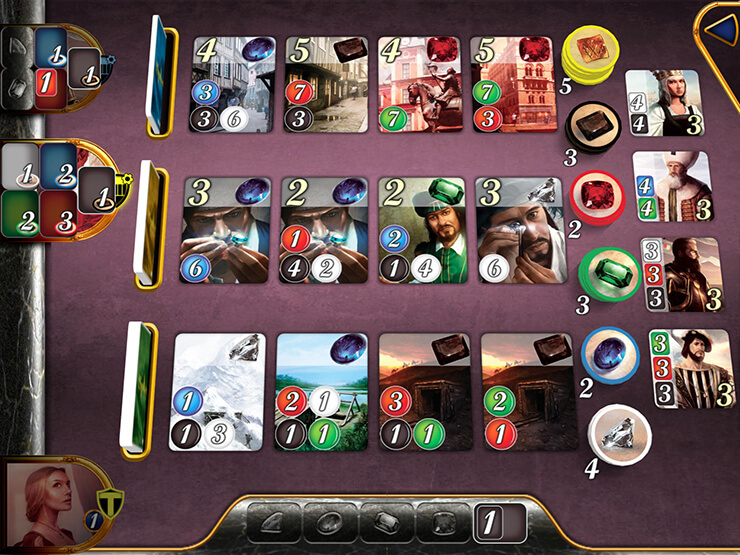 Digital version of Splendor supports hot seat multiplayer along with online multiplayer mode. 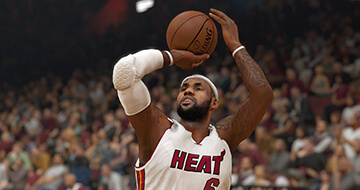 The game can be played by 2 to 4 players and against AI opponents. One huge bonus of the digital version is the presence of the Challenge mode, based on different scenarios that can give you dozens of hours of playtime, something you won't find in the board version of Splendor. 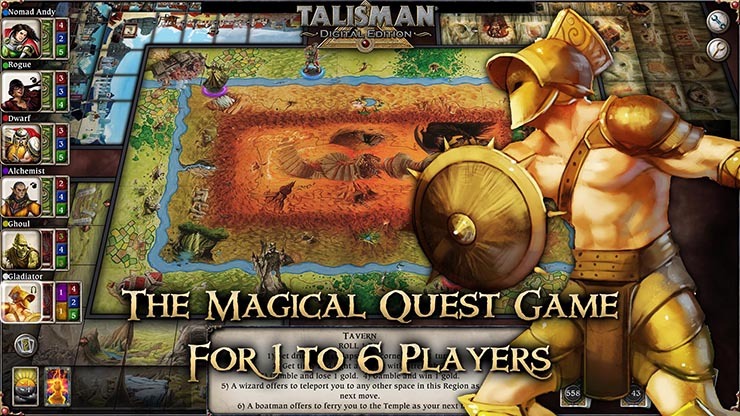 And finally, we have Talisman, a digital version of an adventure board game from Games Workshop. Talisman puts 2 to 6 players on an epic journey that includes cool quests, tense battles, powerful spells, and much more. 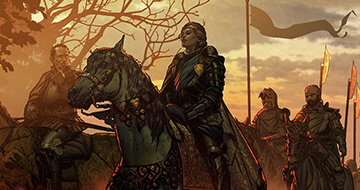 The game features excellent graphics and is one of the prettiest digital board games. Players are put on the board and by using dice and different cards they must advance through the game world and defeat any enemies they may encounter. The goal is reaching the Crown of Command first, that wins you the game. Talisman features many different heroes to pick, and once you set on your journey you are able to build up your hero by increasing their stats. The digital version of the game is free to play but offers many DLC packs that include new cards and heroes. While you have to pay for DLCs the good thing is that the game is free so you can check it out before spending money on it. 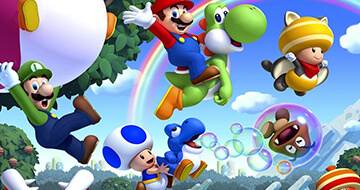 The game supports local multiplayer as well as real-time online multiplayer mode. There's also offline mode against AI opponents. While the rules are somewhat complex, Talisman is one of the best digital board games and should definitely be checked out. It's free after all.